Violent conflicts pose a significant political and societal challenge throughout Africa. By the same token, in addition to varying constellations of conflict, they all have in common the fact that poor governance and the side-effects of corruption all the way to lack of socio-economic participation are basic causes of insecurity. Poor governance for its part to a large extent goes hand in hand with the loss of legitimacy and authority, offering fertile ground for violence and further conflict. 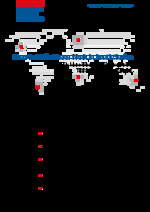 At the same time, the nature of conflicts has changed in a fundamental manner: it is no longer primarily ostensibly ethno-political struggles or conflicts over distribution in the scramble for power and resources, but rather also transnational violence by terrorists acting together with organised crime that are increasingly undermining the nation-state system. Against this background of ongoing threats to peace and security, the structure and design of the African Peace and Security Architecture (APSA) assumes a key role on the African continent as well as in European-African relations. Nevertheless, the APSA also leaves many issues unresolved. Thus, neither interaction between the African Union (AU) and Regional Economic Communities (RECs), nor the question of how the financial dependence of Africa can be reduced in the operationalisation of the APSA have been satisfactorily resolved. Generally speaking, it will not be possible to secure peace and development over the long term without a political dialogue on good governance and democratic development among African countries. In addition to scarce resources and climate change, which are among the causes of crises and conflicts at the global level, unjust distribution and lack of prospects for a predominantly young population to participate in the political and economic system underlie the loss of authority and legitimation of state institutions. These are all associated with a host of security-policy challenges such as international organised crime, Islamic terrorist groups or ongoing instability that cannot be successfully confronted solely by military means. Given all this, the strategy of the FES is to establish a broader notion of security, including in internal African and European-African dialogues, which are often dominated by acute crises and urgent short-term security interests. At the same time, Africa's voice in the global discourse over collective security and crisis prevention needs to be strengthened by sensitisation for certain issues and topics, the establishment of expertise and creation of platforms within and outside Africa and contribute to a partnership-like dialogue. Especially with a view to the European-African dialogue, there is an urgent need to identify common development-policy interests and priorities, including beyond the security-policy debate, in order to jointly develop strategies to meet global challenges. Work lines on topics in the area of peace and security have been playing a key role at all sub-regional levels of FES work in Africa for years: thus, for example, there is a regional work line in East Africa on transparency of the foreign and security-policy orientation of countries in the region, a regular regional security dialogue and work approaches for the reform of the security sector in its capacity as a key sector in processes of democratic reform in southern Africa, and in West Africa a focus on the area of peace and security. 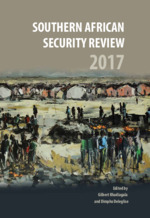 Beyond this, there are work approaches bearing relevance to security policy in several national projects, inter alia in Ethiopia, Mozambique, Zimbabwe, Côte d‘Ivoire, Guinea, Cameroon, Mali and Nigeria. The Centre of Competence for Peace and Security in Dakar has been coordinating work over the entire continent since July 2016.